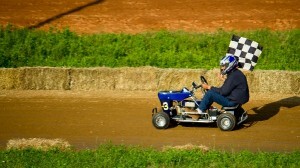 What is a “victory lap”? Province-wide, the graduating class sees 20 000 of their cohort returning to continue secondary studies the following fall. These “victory lappers” are even included in the official Ontario government-calculated graduation rate of 82% – the four-year graduation rate is only 73%. 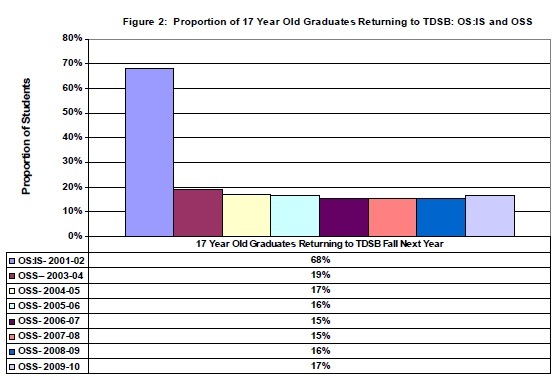 In the Toronto District School Board alone, almost 2000 17-year-olds (or 17% of the graduating class) return for a fifth year. It makes a lot of sense to some observers to see this practice come to an end. And indeed, despite striving to protect public education from many of the cutbacks proposed in the Drummond report, the McGuinty Liberals have decided they agree: the “victory lap” is a $22 million-per-year luxury that taxpayers can ill afford in a deficit-plagued province. As things stand, starting September 2013 school boards will no longer receive full provincial per-pupil funding for students taking more than 34 credits. The province is thus capping the number of extra credits, beyond the minimum 30 required for graduation, at four. 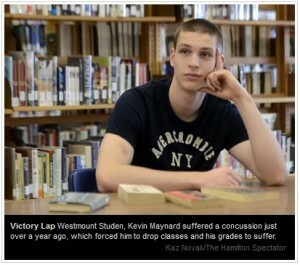 So this year’s grade 12 class may be the last to have the option of a “victory lap.” But who needs that fifth year anyway? Why do students need the extra year? The extra year of high school becomes necessary for students in a number of situations. Some students face problems trying to schedule required classes for specialty programs. A student in French immersion, for example, might find required French classes conflicting with other courses necessary for admission to a life sciences or computer science degree. This would especially be the case in smaller schools in the province. Other students – whether from language difficulties, medical or social issues, or simple teenage apathy – might not have been at their best in a few key courses the first time around. When they become focussed on a post-secondary program, and discover that high marks in these courses – and a corresponding mastery of the accompanying skill sets – are required for admission to their program of choice, they may need to re-take some credits. Actually, by implementing the termination of the fifth year through a credit cap, the Liberals are rewarding failure: students who have failed or dropped several of their credits are funded to come back for another year, while those who have passed all their courses, but not achieved the results they need to enter competitive post-secondary programs, are not funded. Another group of students who may need the extra year are those in the process of changing their education plans. When students discover new post-secondary options in grade 12, or change their minds, they often need to take extra credits and possibly an extra year. For example, a student who decided relatively late in the game to switch from a planned business program to apply for an engineering degree would need to take not only the necessary grade-12 science credits, but also these courses’ grade-11 prerequisites. If Ontario taxpayers are serious about not wanting to fund fifth-year high school students, and teachers and guidance counsellors take their students’ best interests to heart, provincial austerity measures may lead to a renewed spirit of cooperation between public and private schools. In the past, the financial cost of losing per-pupil funding made it rare for public-school staff to be objective about the benefits to some students of switching to private school – or even taking a few part-time evening or weekend credits outside the public system. But this may change when it comes to fifth-year studies, with private schools soon to be in the position of offering something not funded within the public school board. Indeed, quite apart from the funding issue, private schools have features that are a great fit for many fifth-year students. The flexibility of the four-term schedule offered at private schools like Don Valley Academy works well for students who need to pick up less than a full course-load of credits, or combine school with part-time work or athletic commitments, while small classes and student-focused instruction are ideal for anyone switching streams or trying to avoid distractions. For a number of such reasons, we may be an especially suitable option for students taking an extra year of high school.